Business changes come faster than ever before — and the reasoning behind those changes all come down to information. Information held by a company about their suppliers, employees, customers, and others lead directly to tasks handled more quickly and more efficiently. That means their information data stockpile — a company’s database servers — can make or break a business. The person assigned to keep those servers running fast and happy has some major responsibilities…with a hefty paycheck to match. With the instruction in this MCSA SQL Server Certification Training Bundle ($19, over 90 percent off from TNW Deals), you’ll learn how to get certified as the Microsoft database guru in your company. These courses are focused on the proper care, feeding and preservation of Microsoft databases, including their Azure cloud-based data storage systems. The training starts with the Microsoft 70-764 SQL 2016 – Administering A SQL Database Infrastructure course. The instruction provides the baseline learning any database administrator needs, including how to get a Microsoft database up and running, how to fine-tune its operation to run at peak performance, how to properly store and backup your data as well as how to protect that system from hackers or system failures. With the Microsoft 70-765 : Provisioning SQL Databases, you’ll take a closer look at how specific sets of information are stored and accessed in your current configuration. With this course, you’ll understand the methods that keep a database’s information pristine and safe, even when it’s all saved to a cloud-based server. 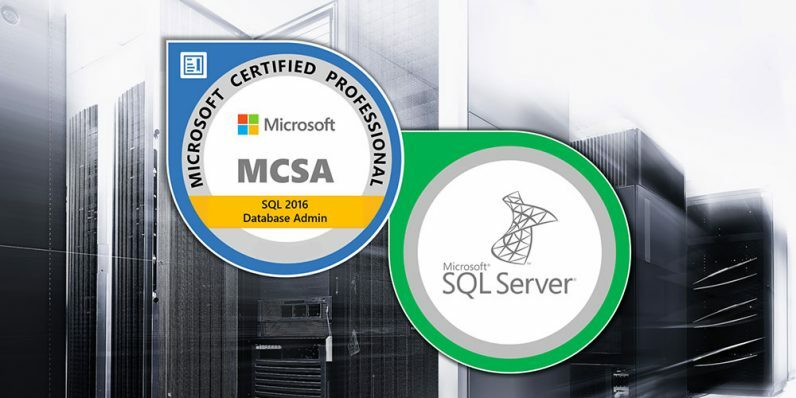 These courses will have you ready to ace a pair of Microsoft certification courses, which are the ultimate seal of approval for working with any SQL database system. The hyper-specialized training in each of these courses would normally cost you almost $600. However, with this special limited time offer, you’ll get this elite level Microsoft server training for just $19.